When purchasing a home, termites or other wood-destroying insects such as carpenter ants, woodborers or powder post beetles can quickly put a damper on the excitement. Depending on your mortgage lender, a termite and wood-destroying insect inspection may be required. Termites lead to roughly $5 billion in damages every year, so whether it is required or not, responsible homeowners have this type of inspection to save time and money later on. 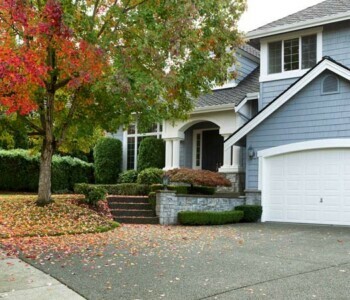 Rely on Wil-Kil to provide a comprehensive plan for inspection on your new home. Give us a call today! What is a wood destroying insect report? A wood destroying insect report (WDI Report) is a document that indicates the presence of insects that eat wood in a home or commercial property. This includes the presence of termites, carpenter ants and woodboring beetles. The report will also indicate any areas that may be conducive to pest problems later on, even if there isn’t currently an issue. How much is a wood destroying inspection? HUD stands for Housing and Urban Development. To receive financing through HUD, you are required to have a termite and other wood-destroying insect inspection done on your new home by a certified pest control provider. Are HUD inspections required where I live? All homes purchased with HUD financing in Wisconsin, Illinois and Iowa require an inspection in order to get final approval. In Minnesota, select counties are excluded. See the complete list of exclusions on the HUD website. Are HUD inspections required for new construction? In the case of new construction, HUD requires a New Construction Subterranean Termite Service Record. This is to validate that a pre-treatment occurred protecting the new structure from termites. The accepted methods include soil applied liquid termiticide (pesticides for termites), wood applied liquid termiticide, bait systems or a physical barrier system. Your pest control provider will determine the best treatment for your construction. You can find more information here. Are termite inspections required for conventional loans other than HUD? Although HUD has one of the strictest policies regarding termite and other wood-destroying insect inspections, many other private lenders are beginning to see the value of inspections and integrating them into their requirements for financing. Make sure to check with your lender early in the process so you understand what is expected. Even if it is not required to have a termite inspection prior to purchasing a home, it is a responsible practice for homeowners, much like a general inspection. Are there really termites in the midwest? 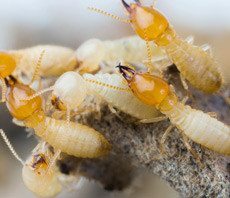 The presence of eastern subterranean termites in Wisconsin, Illinois, Minnesota and Iowa can sometimes surprise homeowners. Termites are a much more well-known threat in southern states, however, there are pockets in the Midwest that are prone to termites and overall, the Midwest is classified as a light-to-moderate risk. The risk of termites increases as you move into the southern half of Iowa and Illinois. Learn more about this pest in our termite profile, or contact a specialist for more information.